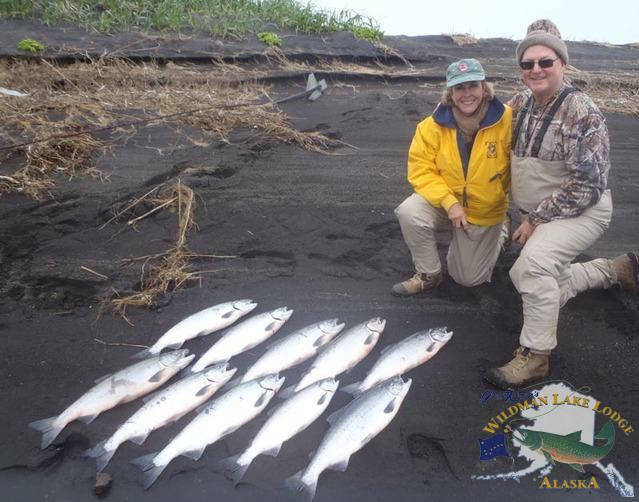 Houston Safari Club friends, Lloyd and Sally Swiedom joined Butch and Kathy for a peak week of Sockeye Salmon fishing at Wildman Lake Lodge. Sally turned out to be a great fishing buddy. Alternating between catching King Salmon and days on the local river for Sockeye, Char and Rainbow, Sally and Lloyd were great guests and we look forward to their next visit at Wildman.